Moving in to the building and corresponding with the One Arlington team has been very good. Everything is well kept. The amenities are comfortable and we are excited for the summer. The gym equipment is a little confusing. Liam M., thank you for your kind words and this wonderful review! Liam M., thank you for your kind review; we are happy to pass along your comments to the team here at One Arlington Apartments! Anshuman, Thank you for your kind words about our team. Thank you also for your decision to spend a little extra for all of the luxuries you enjoy! We truly appreciate your positive review! Hi Ying, I'm glad to hear you're enjoying the coffee! Thank you very much for your recommendation and kind words. We hope to see you at the next resident event. Katya has taken such good care of us through the application process! She is so thorough and does her best to make sure our needs are being met. Jennifer, Thank you for recognizing Katya. We'll make sure she is rewarded! Thank you also for taking the time to write this review! I loved this residence so far!! So quite and peaceful. The amenities are awesome, and especially loved the play room in the basement. Learned to play ping pong!! Naga, It's great to hear that you're having fun using the amenities! Thank you for the 5 stars - we truly appreciate it! Talmage, Positivity is contagious! Thank you for spreading it around. We appreciate your review! Deanne, I think we are all counting down the days until the rooftop officially opens! We love that you love where you live! Thank you for your recommendation. One Arlington is a really nice building and the staff have been very helpful! Wish they had a dog run but otherwise an overall great living experience. Hi Eric, Thank you for participating in our rewards program! It's great that you're enjoying your experience here. Also, your recommendation has been noted. Thanks again! Enjoy living there a great place and many good neighbors and fun amenities. The staff are wonderful and helpful and always make you feel welcome. We're thrilled to hear you've found our staff to be so supportive during your experience here at One Arlington. Thank you for taking the time to write a review! There's nothing we appreciate more than a compliment from a happy resident! Thank you so very much for taking the time to review us and thank you for all your referrals! Nice apartment, nice ammenetis and generally friendly staff and residents. We’ve been living here quite some time now so they must be doing things well. Babawande, We truly appreciate that you've noticed all our hard work. Thank you for your kind words about your experience! Great view. Clean. Organized. Elevators are fast. Safe. Close commute to work and great restaurants and the mall. Front desk staff are friendly. The garage access to the elevators is a pain. Two doors that are not automatic make it hard when your hands are full. Sneha, Thank you for noticing all the hard work it takes to stay clean and organized. We appreciate your kind words and are thrilled that you are settling well. Please reach out if we can be of any service for you. Thank you! Great and friendly management at One Arlington. The building is new and well maintained. I also enjoy the community events, eg the community breakfast. Sandra, Thank you for joining us at the community events! We truly enjoy hosting and getting to know our residents better. Thank you also for taking the time to give us a 5 star review! I lived here for almost a month now and so far all is perfect. The staff are so nice and so is the maintenance guy. I would totally recommend it. Ruba, We're thrilled to hear you're having such a great experience and have found our staff to be so supportive. We strive to provide top quality service to every resident. Thank you for sharing your feedback about One Arlington Apartments! Move-in was seamless, and so far I have really enjoyed the environment. The gym is very convenient. Cant wait for nice weather to begin using the rooftop. Patrick, We are very ready for some rooftop fun as well! Thank you for your kind words about our team. We work hard to create experiences like yours and we appreciate your feedback. Dominik, We greatly appreciate your review and are so happy to hear that you're enjoying your new home! Please don't hesitate to reach out any time if there is any way we can be of further assistance. Thank you again! We love it at One Arlington. It’s very conveniently located to the highway. The apartments have spacious, modern floor plans. The staff is always very nice and accommodating. 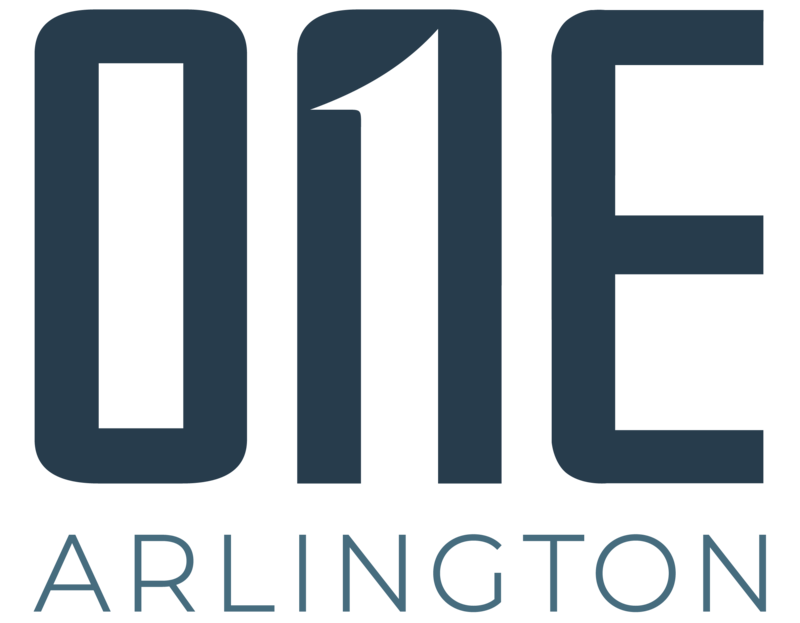 One arlington is always hosting activities for the building which is great! Hi Sam, We truly enjoy planning and hosting resident activities so it's great to hear that you're enjoying them. Thank you for your review! Great view and convenient place and also very kindly staff is here. There are good restaurants Chinese and bar and Japanese and Italian and ..near by here. Thank you so much for your compliments! We are thrilled you're enjoying the neighborhood. Hi Scott, We're so happy to hear we're meeting your expectations! Thank you for taking the time to share your thoughts. We just moved into this apartment. We love the clean and quiet building. The recreation room is well designed and we enjoyed plaing table tennis and pool games. Also, it is very nice to have a loung in the lobby which is equipped with high-end coffee machine. Xpjg*@*.jp, Thank you so much for the positive review! We trust that you will continue to enjoy your home for some time to come. Please contact us any time. Thanks again for your review! A nice place to get to know people and live. a little over 2 years in still fun as ever. I find that with many new people always a joy to go back to every day. Mart*@*.com, Many thanks to you for your praise and kind comments about our community. We hope you are with us for many years to come. Thank you for the 5 stars! Friendly residents, beautiful building with great amenities and in a great location. Love the roof deck and lobby coffee station. Underground parking is convenient! Hi Nicholas, We agree, One Arlington residents are great! It's wonderful to hear that you're enjoying your time here. Thank you very much for your kind review. One Arlington far exceeded my expectations. From the staff, to the ammenities, and my beautiful apartment I couldn’t be happier. The team does an exceptional job keeping the building clean and their residents happy!!! Hi Michele, I have to admit... getting a 5-star review never gets old! We appreciate you so much for taking the time to write this and are so happy that you're loving your time here. Thank you! Great place to live! The amenities are nice and the staff is nice. The maintenance requests are done in a timely manner! I also really like the coffee machine in the lobby. Hi Fernando, Thank you for sharing your positive feedback! We strive for excellence and I'm glad that our efforts have impacted your experience. Many thanks to you!